Erinna, originally uploaded by jeff_robertson. 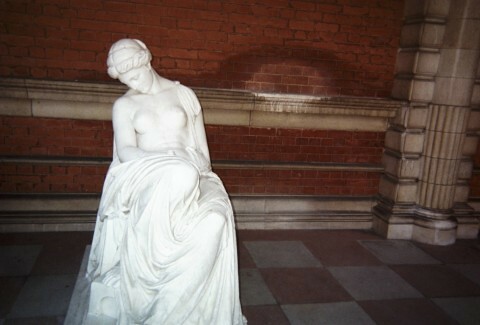 Victorian half-naked-lady statue located at formerly all-female college. There's a dirty movie in there somewhere. Yes, the pictures I took in England finally got developed. This is the statue which, the first time I saw it (across a shadowy courtyard at 2:00 am), struck me as unnervingly.. ghostlike? I think the word is "numinous". The photo really doesn't capture that part.